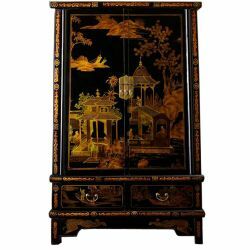 This collection of chinese furniture, you will discover beautiful copies of chinese furniture leather. 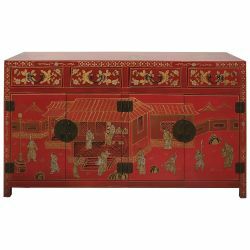 In fact, decorators and painters in chinese have managed to make us dream by highlighting the representations of scenes of ancient times, flowers and birds of paradise, on an element putting in adequacy the touch of leather and aesthetics. 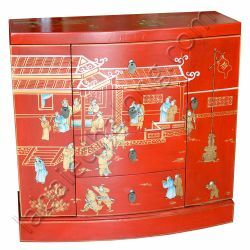 Chinese furniture leather There are 15 products. 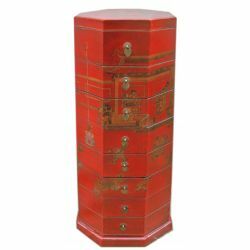 Column chinese octagonal 8-drawer chest.Dimensions: L36 x P36 x H106 cm. Buffet arched from China with 2 doors and 4 tiroires.Dimensions: L106 x P46 x H85 cm.